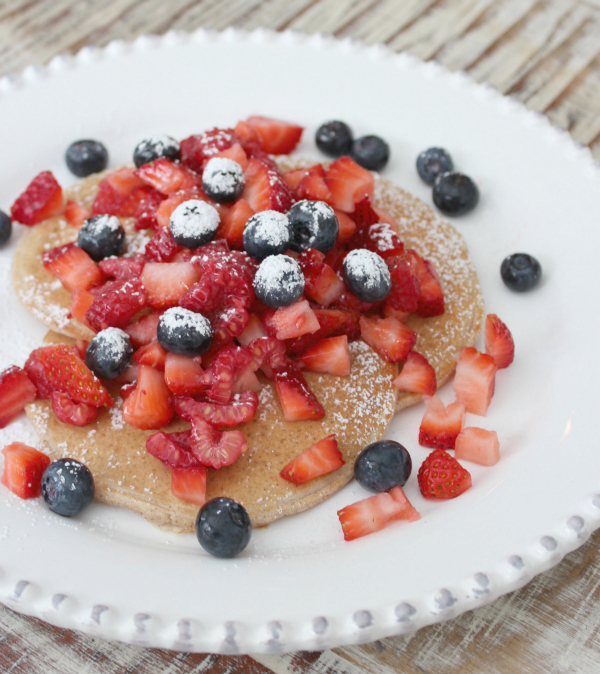 Quick, Easy & Healthy Protein Pancake Recipe! If there's one thing I've learned from dieting always trying to lose/maintain a certain body shape or weight... it's that starting my day off with a big, protein-filled breakfast ALWAYS helps me to stay fueled and on the right track for the rest of the day. "Imagine your body as an empty fire pit, and you want to ignite a big fire in there that will burn ALL day long. If you fill your pit with just one piece of not-so-great wood to start with, there's no way you'll keep your fire going. But if you build up a big ol' stack of logs with lots of small, spark-catching starters... you'll burn the kind of fire that will last a LOT longer!" 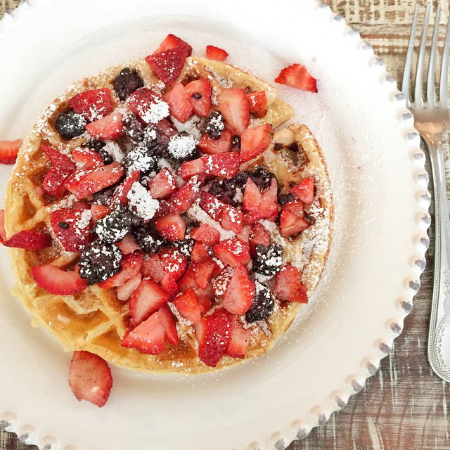 If you start with a healthy, filling breakfast, your metabolism skyrockets, your calorie burn will be greater and your energy will last longer! Um... sounds good to me - let's eat! 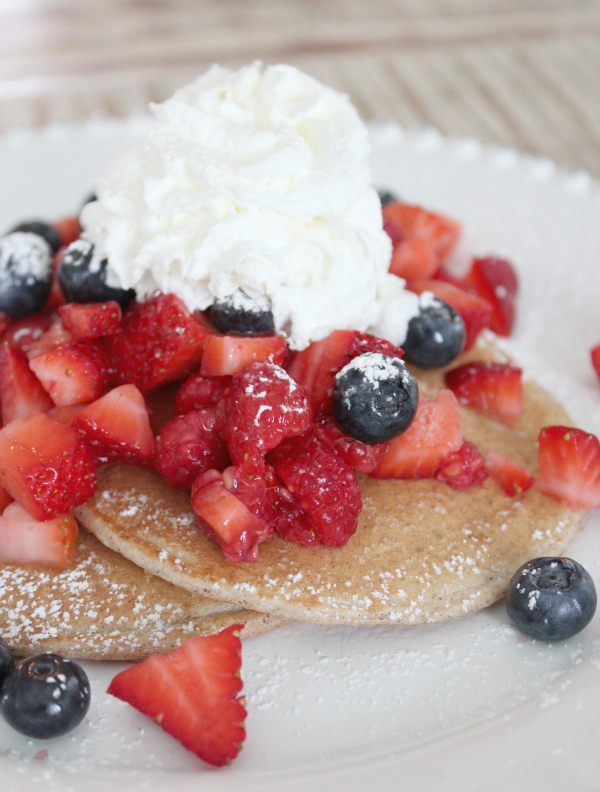 These protein pancakes are packed full of awesomeness and have NO sugar. (well, unless you add some on top at the end...heehee). You can whip a batch up in less than 10 minutes, and have them in your fridge for the whole week. YUM! 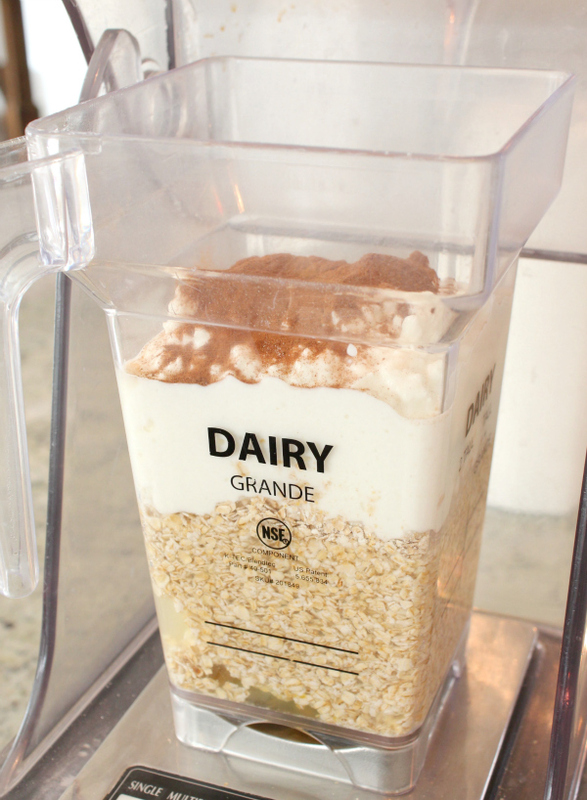 Mix all ingredients really well in a blender. 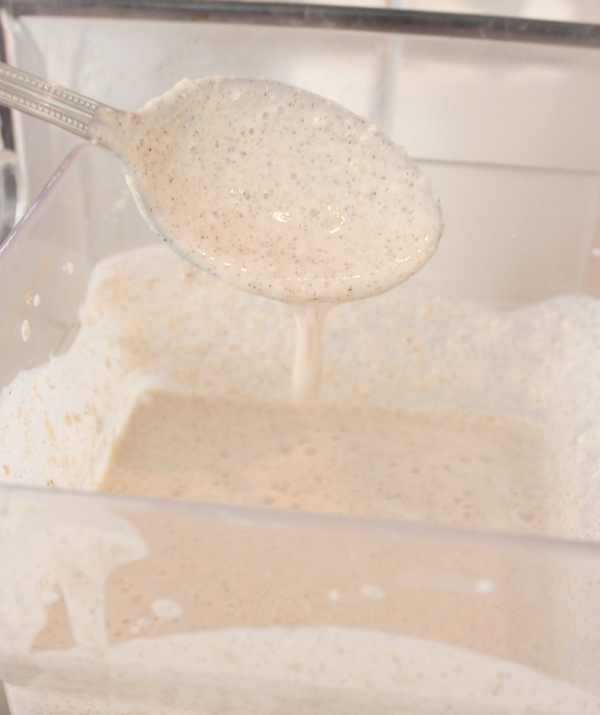 The consistency of your batter should be thick enough to coat a spoon, but not so thick that it doesn't drip off easily. NOTE: The batter will thicken up a bit naturally as it sits. 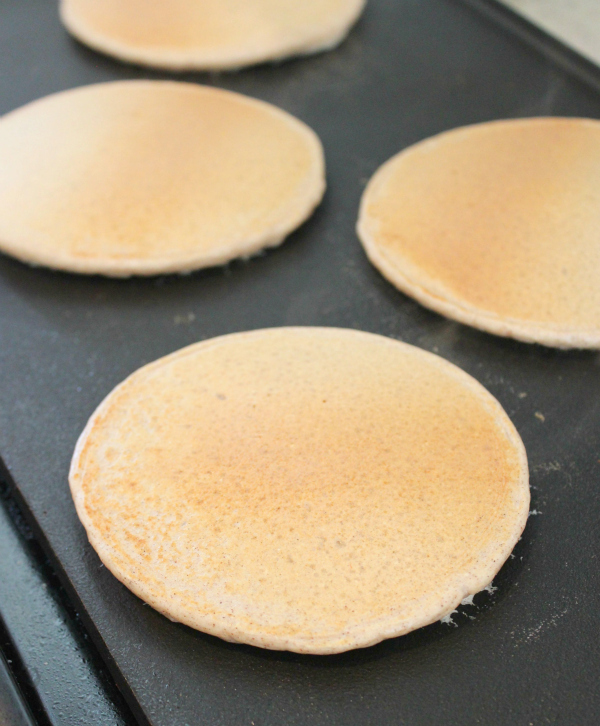 Pour about a 1/4 cup of the mixture at a time onto an ungreased, non-stick griddle that's about 350 degrees. Since this batter is made with oats and cottage cheese, it's a bit heavier and takes longer to cook than a regular pancake. 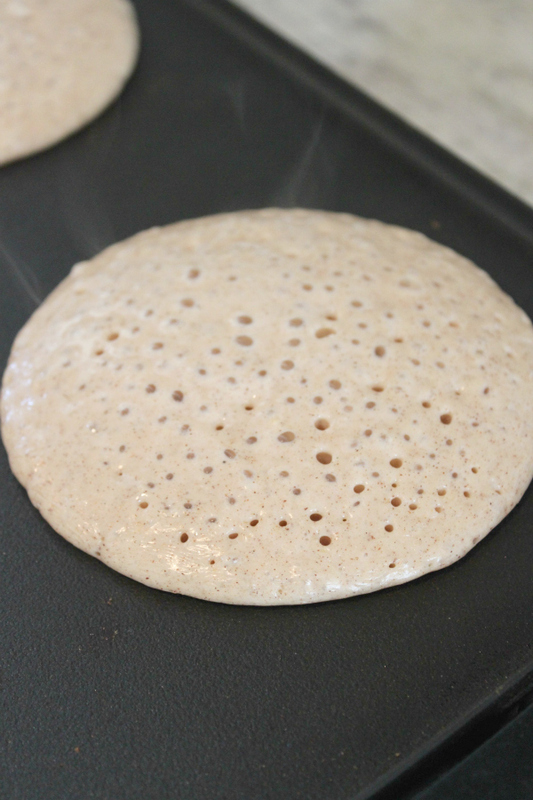 For this reason you'll want to make sure that you see all those little bubbles on the surface of your pancake before you flip them over, or you might end up with a gooey center. When finished, the cakes will look yummy and golden brown, like so! WHAT? All things in moderation, right? ha! These are my favorite too! Just a tip, add a splash of vanilla-yum! These look delicious! I just may have to make them this weekend, being pregnant I am craving carbs more than ever and at least these are healthier. How many pancakes does this make on average? I make these all the time! It's also good if you leave out the cinnamon and add a little cracked black pepper as a savory option. I make something very similar to this and love them. What kind of blender do you have?